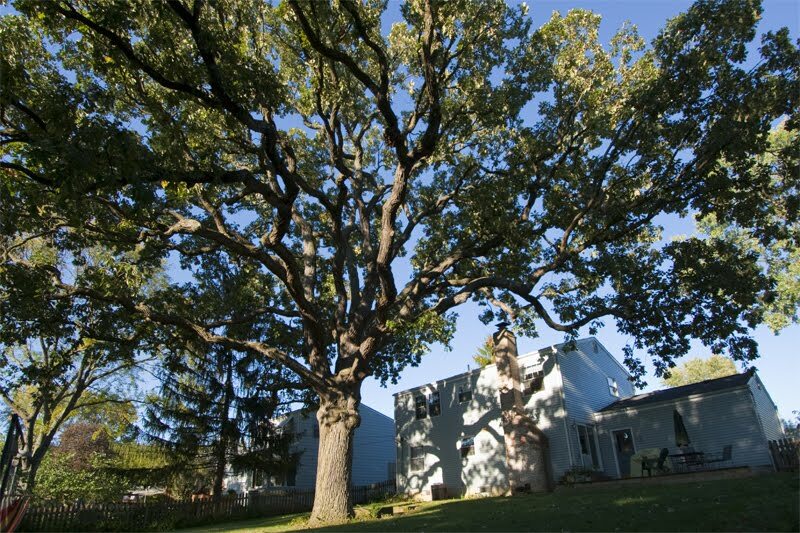 When we moved to Worthington in June of 2008, we chose a house with a massive bur oak tree in the backyard. If you've followed this blog for a while, you will surely remember many great stories and photos about this tree. The tree is truly massive, weighing an unbelievable amount- there's probably 250 TONS of wood suspended in the air in our backyard. Well, since October 2013, we have been falling out of love with the tree. One morning that fall, we awoke to a massive limb down in the backyard, having fallen overnight during calm weather. At that time, we scheduled a tree company to take the tree down, but at the last minute, I made the call to give it one more chance. Last Friday, Megan was at home, in her office, when this massive limb fell in a wrenching force. If With the help of my dad, we've cleaned up most of the downed leaves. 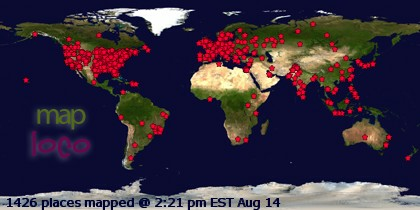 If anyone had been in the impact area, they would not have stood a chance. Thank God no one was injured, however, this giant limb remains perilously attached by a thread, threatening to fail at any minute. 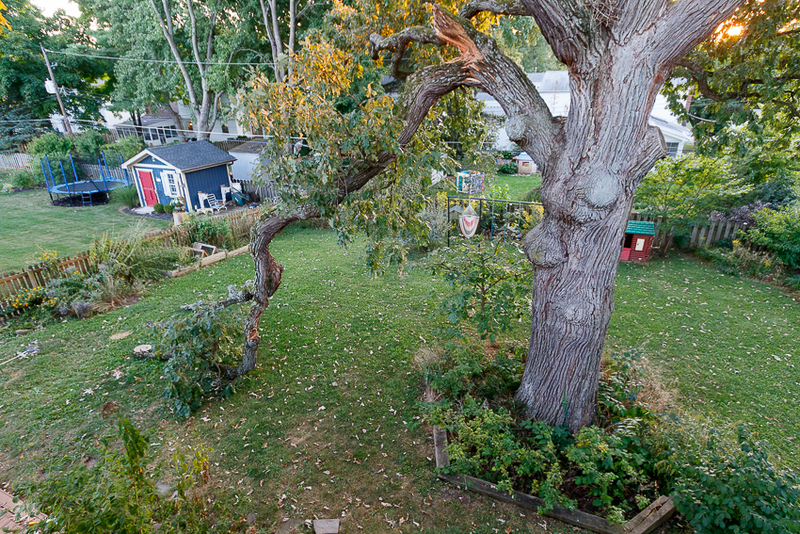 Knowing that we can just not live with this anymore, Megan and I have decided without doubt that it is time for our family to say goodbye to the backyard bur oak. When our house was built in 1966, this was literally the only tree on the block, as seen below in this photo hosted on the Worthington Memory website. We have tried to be good stewards to the tree. As you can see, the tree is a part of the neighborhood and beloved by many. The three former owners before us obviously loved and cared for the tree. We have tried to keep that legacy, unfortunately, this is a decision that was just too easy to make; we cannot live with this risk anymore. The tree will be taken down within the next two weeks. Perhaps one of the reasons that the limb failed this season is that the tree had an incredible year of growth, producing a flush of leaves and an incredible amount of acorns. Weston and Brody love the tree, and this is a difficult decision to explain to young boys. "Don't you love nature, Dad? If you cut the tree, you are destroying nature!?!" Yes, Weston, but we are fortunate this year that we have dozens of acorns to collect. We can plant these, and grow many more young bur oaks, trees that we will gladly give to any friend that has plenty of space for a wonderful shade tree to watch and grow. Great pictures (as usual) and good story, Tom. The image of the tree in the neighborhood as it was developing is incredible. I know that you did not make this decision easily and that you're going to be heartbroken about losing the tree, but it's likely the right thing to do. My wife and I have a humongous sycamore tree just outside the back of the house. Arborists have estimated its age at 250 years. If it falls, or even if it just drops one of its huge limbs, on the house, there's going to extremely serious damage to the historic house and there could be loss of life if the hit is right. It's scary, but we're only going to be there for less than two more years, so my successor can worry about it. Thanks Scott, you've definitely captured how we feel. It's just time. For us, we were ready. We're going to be in our house a longgggg time, and we're ready to watch our new Bur Oak grow. Tom: I imagine that you've visited Clear Creek (Allen F. Beck) Metropark and Rhododendron Cove State Nature Preserve. I was an undergraduate at Ohio University many years ago. I usually drove to Athens from the Cleveland suburbs via I-77, but occasionally I came through Columbus and then south on U.S. 33. I must have passed the mouth of Clear Creek a dozen times, but never drove up Clear Creek Road to explore the canyon. Is it a great place? Thanks for the offer, Tom, but I don't know when I'll be back in my old "stomping grounds" again (unfortunately). I haven't been back to Athens since I graduated in 1973. I did visit the Desonier Preserve about 15 years ago to see the old growth forest. (I think that's the forest managed by OU, isn't it?) On that trip, I drove from southeast Pennsylvania to Yellow Springs to see Clifton Gorge, where I met my Dad who had driven down to meet me from the Cleveland suburbs. I stopped to visit Desonier en route. I was wrong about Desonier, Tom. I have never visited Desonier. On that trip to Clifton Gorge, I stopped at Dysart Woods, the largest stand of old growth in southeastern Ohio, near Belmont. Dysart is owned by Ohio University and, unfortunately, has been beset by strip mining right up to its borders.